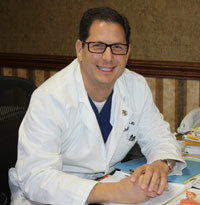 Dr. Michael Sullivan attended Canisius College, where he received a B.S. in chemistry with honors. He received his medical school education at the State University of New York Health Science Center at Syracuse. He then completed his residency in Obstetrics and Gynecology at Thomas Jefferson University, Philadelphia, PA. Following his residency, he completed a one-year post doctoral fellowship in pharmacology at Thomas Jefferson University before pursuing a three year fellowship in Reproductive Endocrinology and Infertility at Magee Womens Hospital, University of Pittsburgh. Dr Sullivan is a Clinical Assistant Professor in the Department of Gynecology and Obstetrics, SUNY at Buffalo, and serves as the Medical Director of the Buffalo IVF program. His particular interests are in infertility, ovulation induction and the role of luteinizing hormone in follicle development. The State University of New York Health Science Center at Syracuse, M.D.